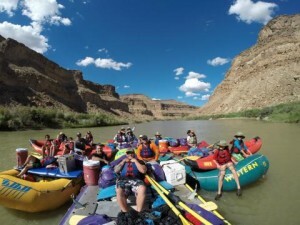 Our five-day trip on the pristine Green River was the adventure of a lifetime. At first, I was worried that this trip would not be exciting enough for my sons 26 and 28. Boy was I wrong! 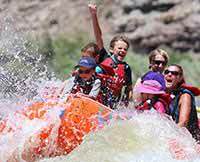 I enjoyed hearing their laughs and watching their smiles as we enjoyed rafting, camping, swimming, hiking, kayaking, nature and truly amazing meals. The river and scenery were magnificent and our guides energetic and attentive. Mickell is the perfect trip leader ensuring both safety and enjoyment for her guests. This trip was all I had hoped it would be and more. Mother nature provided the majesty and our guides; Mickell, Daniel, Tiff and Ali provided the magic! I would love to do it all again.